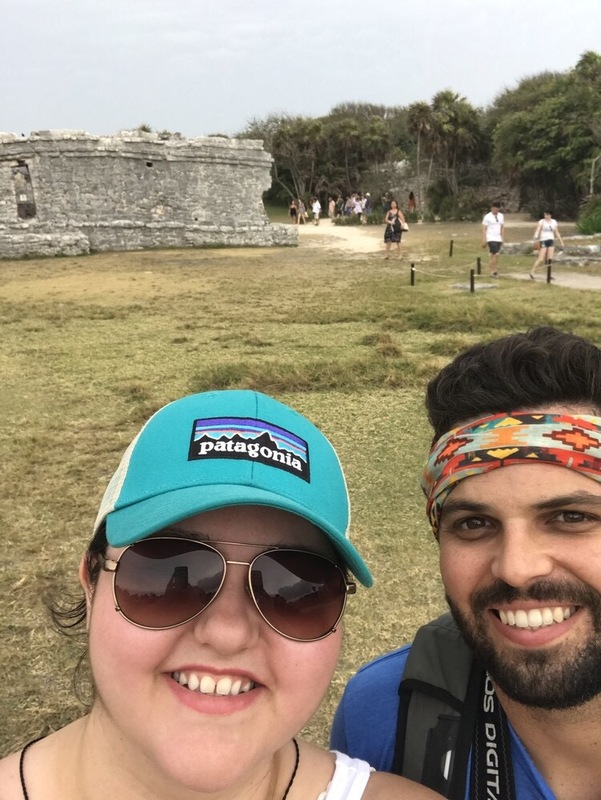 When Tim and I got a chance to go to Mexico before we moved to Tennessee, one of the things we knew we had to do if we got a chance was to visit the ruins in Tulum. 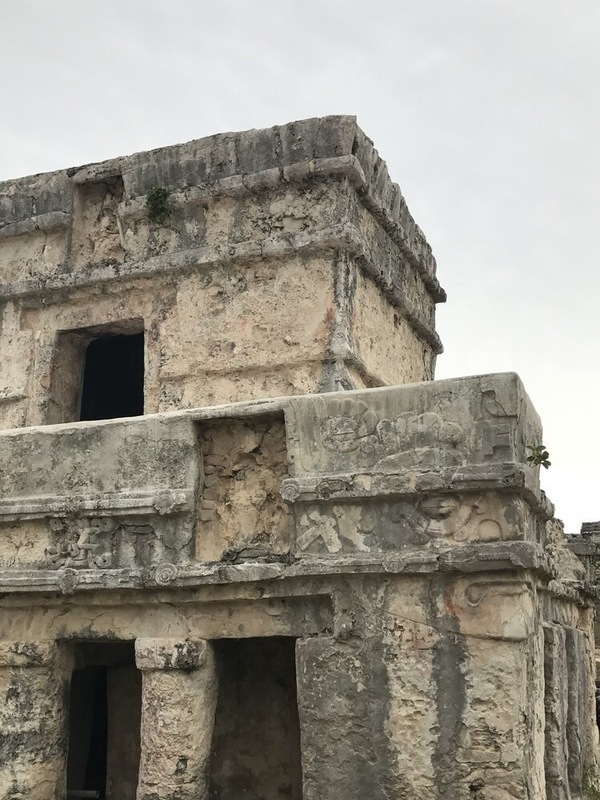 Since we were headed to Riviera Maya for a press trip our schedule was super tight- if we wanted to make it to the ruins we had to go the day we arrived. We quite literally dropped our bags off at the hotel, grabbed a sandwich to go from the lobby cafe, and then took a taxi, a microbus, and road a bike to finally see the ruins! 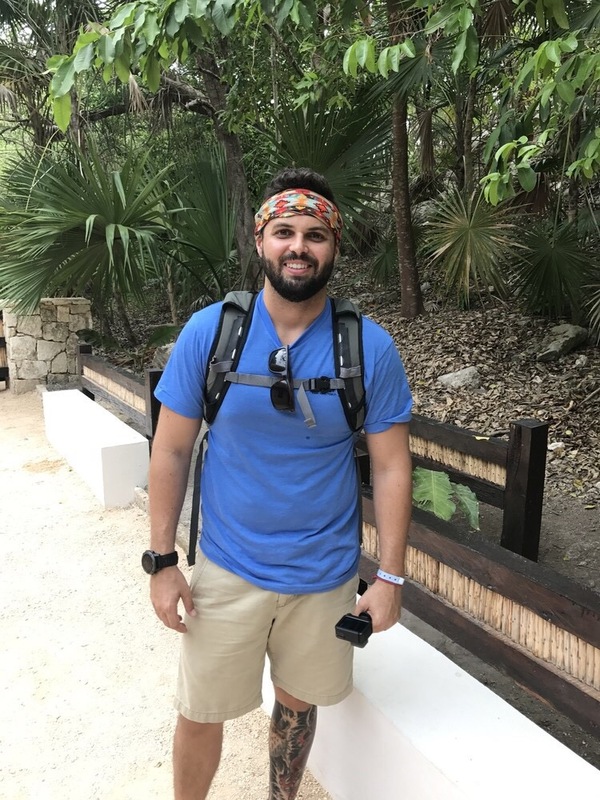 It was our mission that day to explore at least one site of Mayan Ruins on the Yucatan! The Mayan Ruins on the Yucatan are a peek into Mexican history and culture. The country’s rich past can still be seen today in the amazing ruins peppered throughout. There are thousands of Mayan ruins spanning from the Yucatan all the way to Belize and Honduras- many of which are still unexcavated. There are well established, restored popular sites and off the beaten path, lesser visited sites that are still a work in progress but they are all historic open-air museums worth exploring. As you walk among the ruins, mysterious and majestic all at the same time, you can’t help but wonder of life was like all those years ago. What was the city center like? How was day to day life? While we can only use our imaginations to guess today, each of the sites was once an integral part of Mayan life, culture, and civilizations. Every year, millions of visitors from across the globe make their way to the ruins where Mayan heritage and culture continues to draw them in. 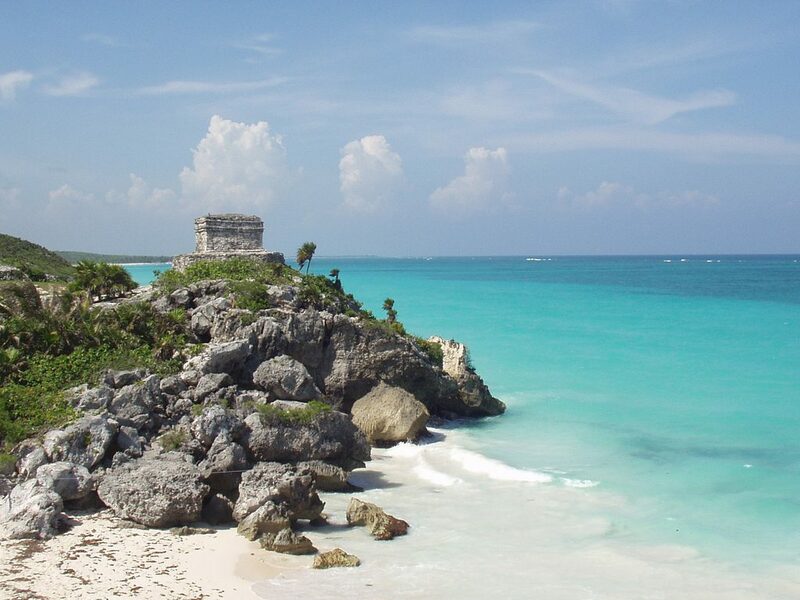 Located 131 kilometers south of Cancun, and facing the sea, you will find the ruins of Tulum. The Tulum ruins are the only ones built by the sea and definitely win the most beautiful location award of all the ruins. Placed on the cliffs along the Riviera Maya, they overlook some of the areas most gorgeous white sand and beautiful blue water beaches on the Caribbean Sea coast. And really, to say they are breathtaking falls short of describing their beauty. While the ocean breeze and their proximity to the water make for a great view, it can still get really hot! It isn’t a bad idea to bring a hat and make sure you have plenty of water. Don’t skip the sunscreen! The site is fairly large even though the ruins of individual buildings aren’t. 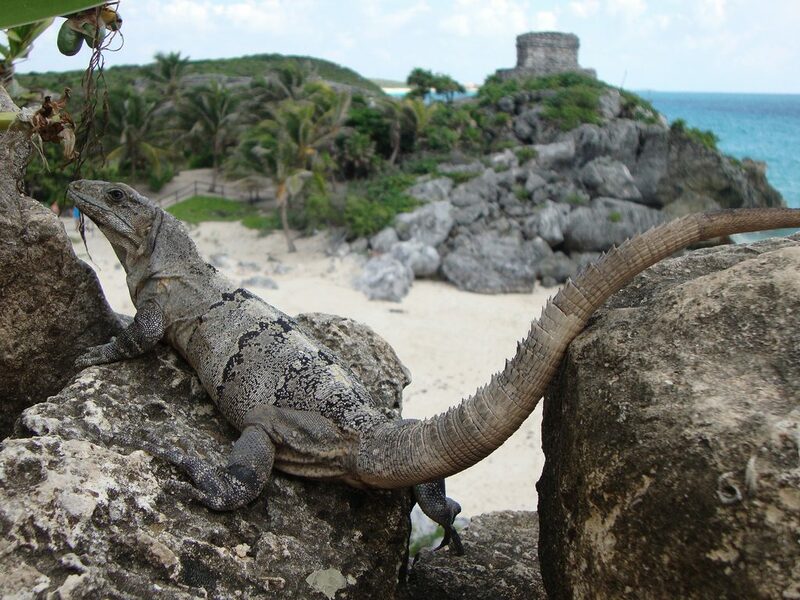 But there are a number of interesting things about the Tulum ruins. 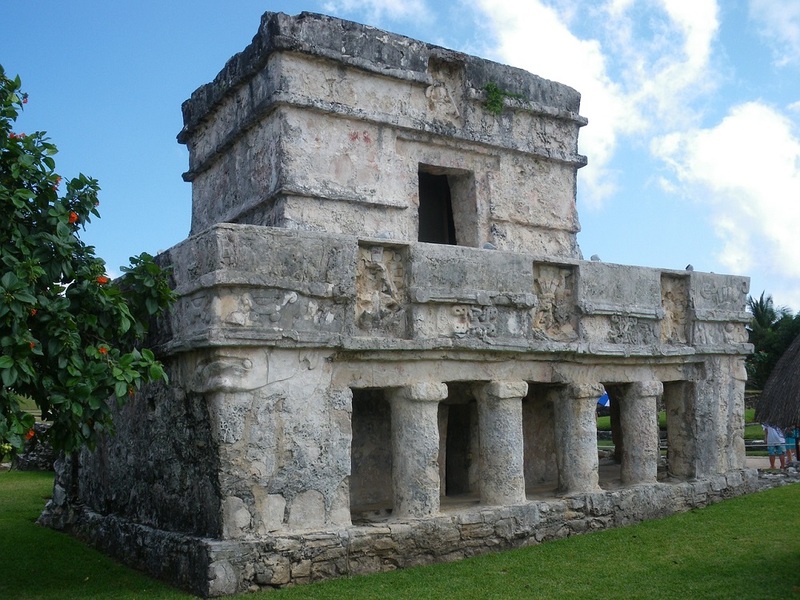 Tulum was a walled city and many historians believe it was a sacred temple. Archeologists also believe that the population of Tulum was relatively small which goes hand in hand with the sacred temple city theory. 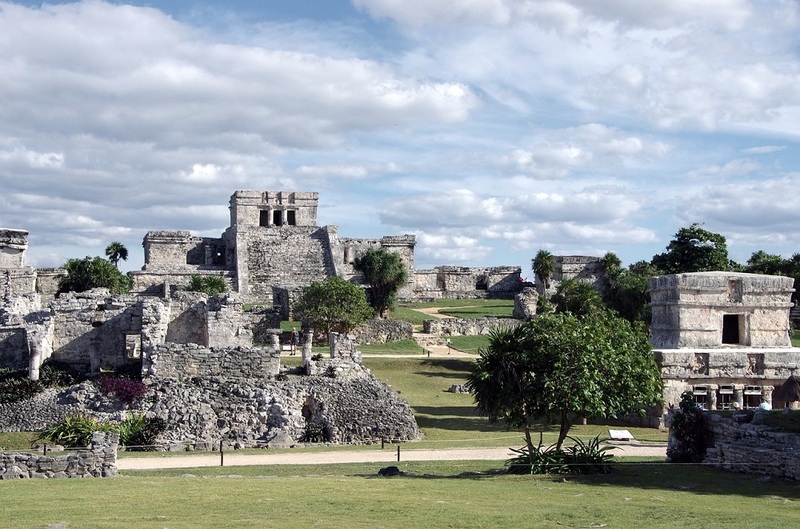 It is thought that Tulum was one of the most important cities of the Maya civilization during its time. 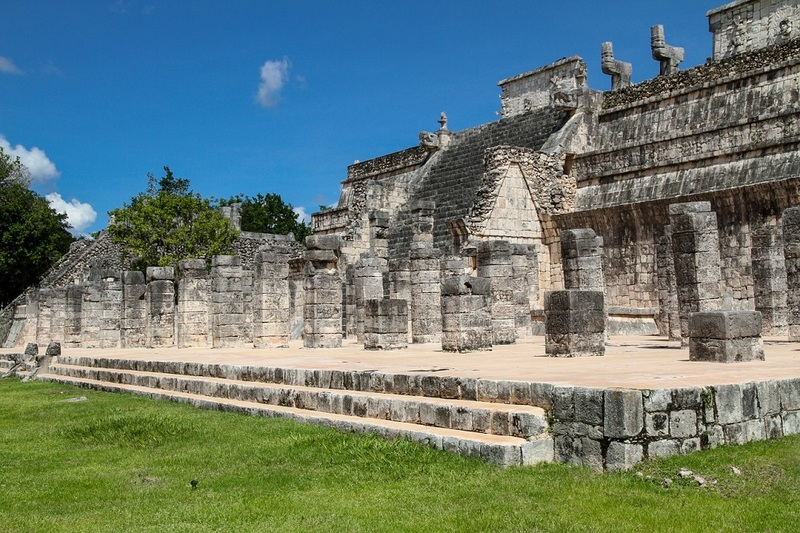 The Temple of Frescos is one of the main attractions at Tulum. The frescos, which give the temple its name, are an exquisite depiction of Mayan artwork and you can still see some of the original colorings on the paintings. 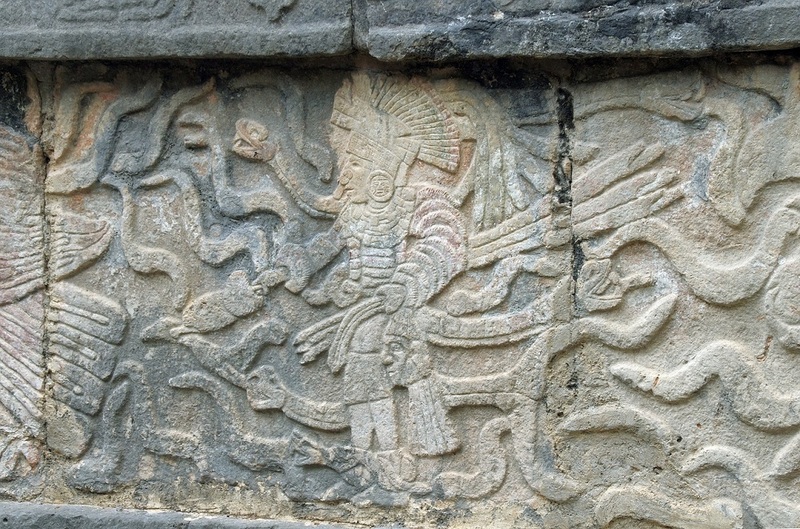 Much of what we know about how Mayan temples were decorated come from this site. If you are staying in Tulum the ruins are very easy to visit. You can take a bus or taxi but the popular way to go is by renting a bicycle from your hotel. You can stop at any of the beaches, shops, or restaurants along the way. Don’t forget to take breaks and drink water! If you are coming from Cancun or Playa del Carmen there are a number of tours available. Tim and I were adventurous and made our way to Tulum via taxi, microbus, and bicycle. It is very common for tourists to take public transit to the ruins too. We met some Canadians, Europeans, and other Americans on our trip out. If possible, try to go early. It is a popular site, so going early will help you beat the crowd! 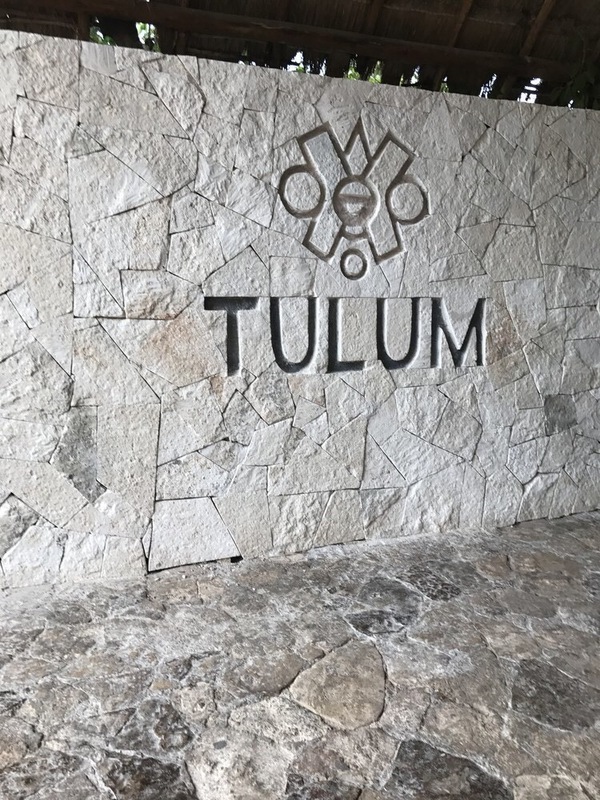 If you’re looking for a more affordable hotel that’s super cute rather than a pricey all-inclusive, consider looking at some of the boutique hotels in Tulum. You’ll get a more authentic experience if you stay a few nights in town and the proximity to the ruins will help you beat the crowds. Admission is 35 pesos and there is an additional charge if you want to bring in a GoPro. It is open from 8 AM to 5 PM daily so you can breeze through the grounds in about an hour or spend an entire day learning about the temples, history, and culture while you enjoy the grounds. Bring a swimsuit! There is a beach access from the ruins that you will be happy to visit after you work up a sweat walking around the grounds. Pictures turn out best when avoiding the harsh light of midday. Coba is about a 30-minute ride from Tulum and very much so well worth the visit. The site is unlike any other you will visit- quite literally in the middle of the jungle and you can climb the main pyramid. Even though you’ll be surrounded by lush Mexican jungle, you’ll still want to wear sunscreen and have plenty of water to drink. The grounds are filled with smaller ruins that are tucked about in the jungle that surrounds. Coba means water stirred by the wind, a name given to the site for its prime location amongst two lagoons. Coba has unique roads made of white rock that would reflect the moonlight and serve as a flashlight. These roads were an important part of life in Coba, a trading link between the coastal regions and inland cities of the empire. From the Nohoch Mul Pyramid’s top (137 feet), you’ll have an amazing view of both lagoons and the surrounding areas including the intricate ancient roads. 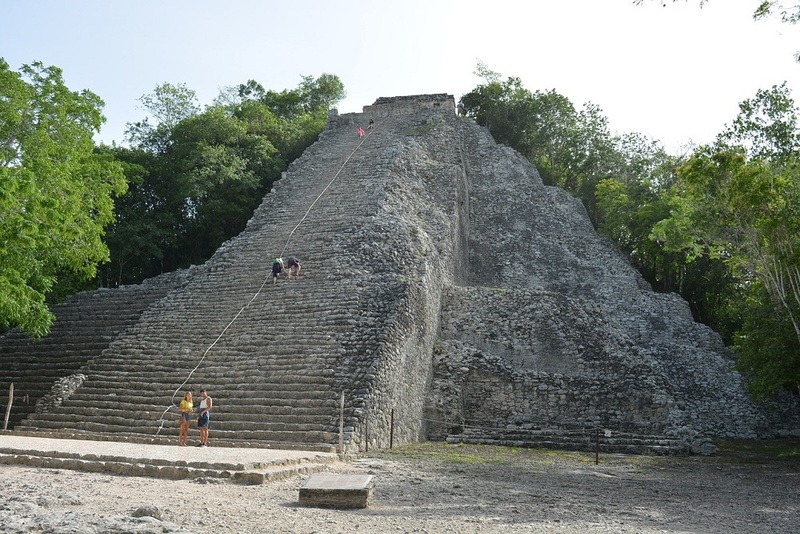 The site isn’t nearly as crowded as Chichen Itza but you’ll still want to arrive early or visit in the late afternoon so that you can avoid the intense heat when climbing all the stairs. 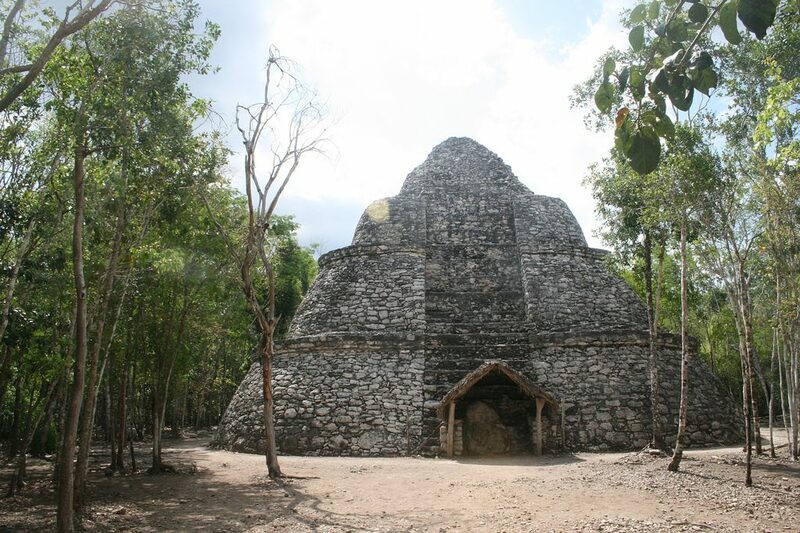 Coba is one of the lesser visited ruin sites which is surprising considering how close it is to Tulum. If you do want to visit after spending time at the Tulum ruins you can take a bus or arrange a tour with a company in Tulum. When you arrive at Coba, there are places where you can rent bikes which we totally recommend! It is quite a way to access the main temple so they are the best way to get around the grounds and you can beat the heat. 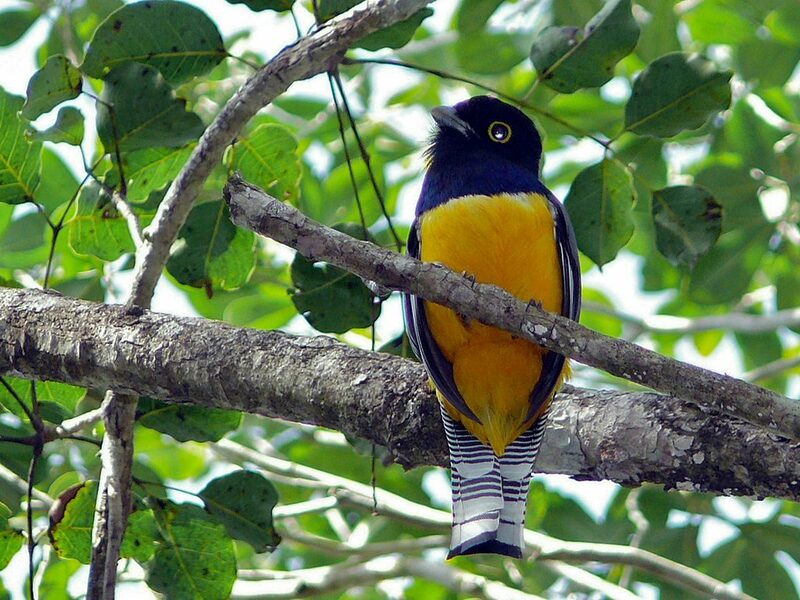 The admission for Coba is $57 pesos and the site is open from 8 AM to 5 PM. 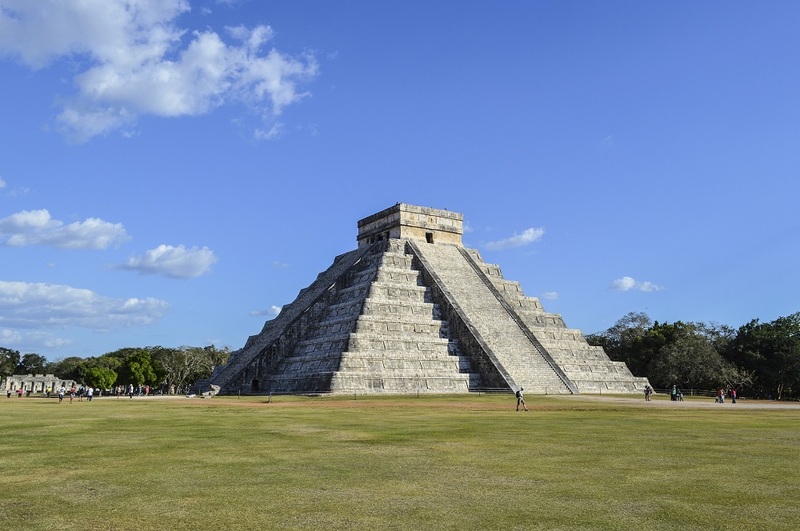 Chichen Itza is well worth the two to three-hour journey that it will take you to get there and back. 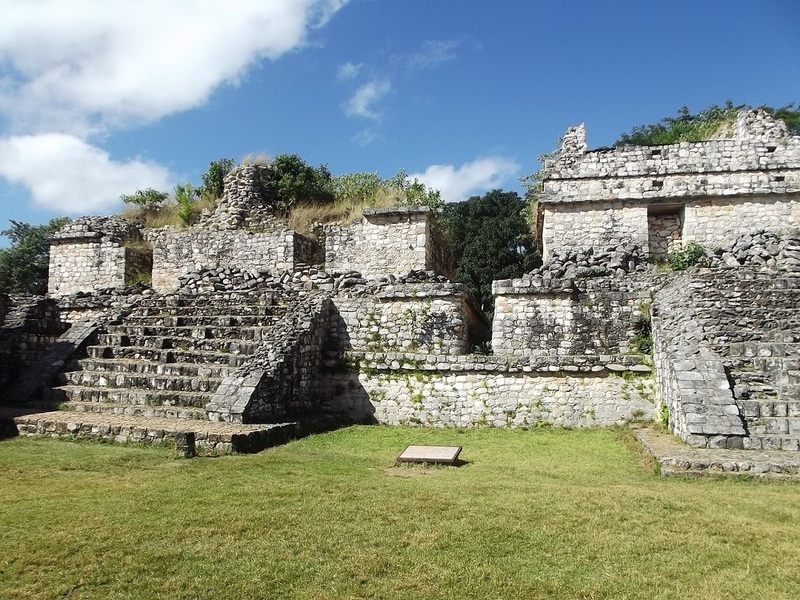 The incredible site is easily considered the most important Mayan site and a must see. It is thought to have been the regions capital city and major trade center. As one of the most popular ruins, it is always crowded and feels a bit touristy. Don’t let that take away from your experience though! If you are prepared for vendors and people, you can still be amazed at the structures of historic ruins you’ll see. 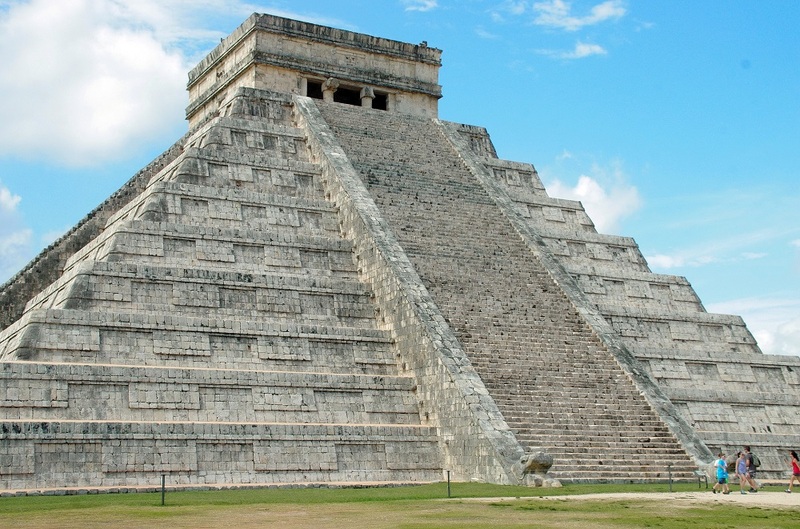 As you walk around, keep in mind that Chichen Itza was one of the largest Mayan city-states. You’ll quickly forget all the tourists and be transported back in time. 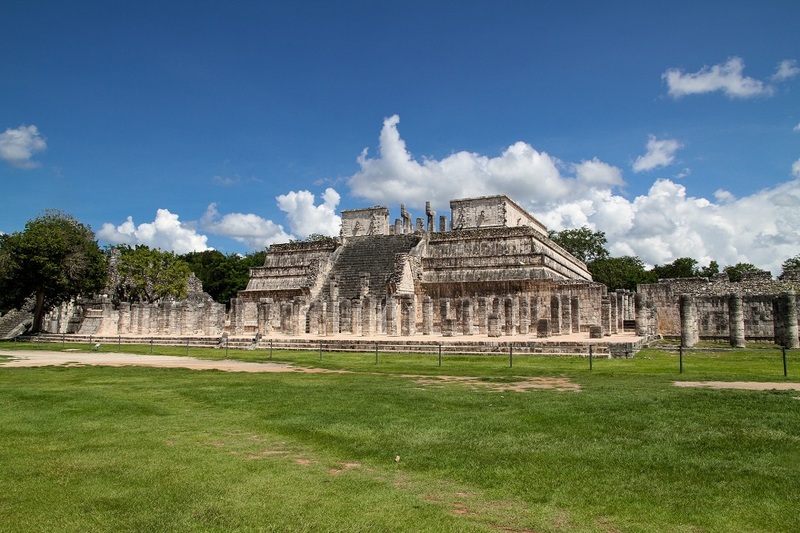 It is easy to spend a whole day exploring the different buildings since Chichen Itza is quite expansive. If you are looking for the condensed version (though we don’t think you should skip anything) there are a few noteworthy photo ops you don’t want to miss. 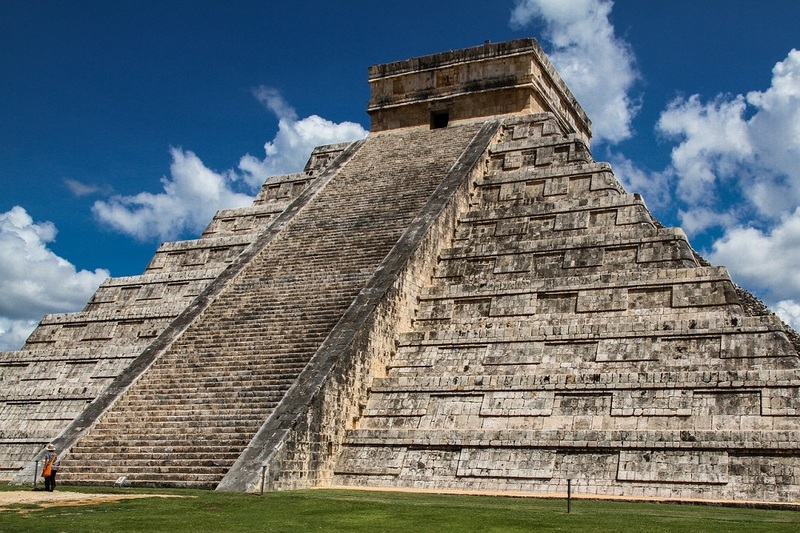 El Castillo is the large central impossible to miss 98-foot high pyramid. 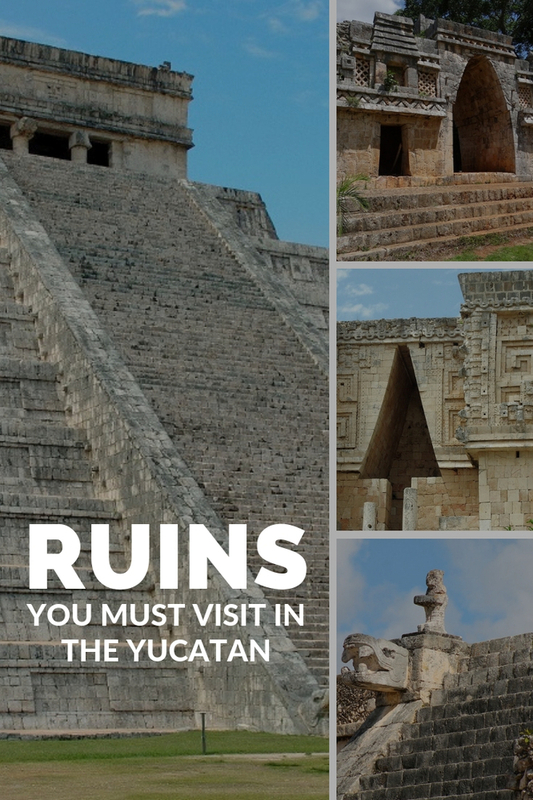 You’ve seen it in photos as the poster child of ancient Mayan architecture and structures. 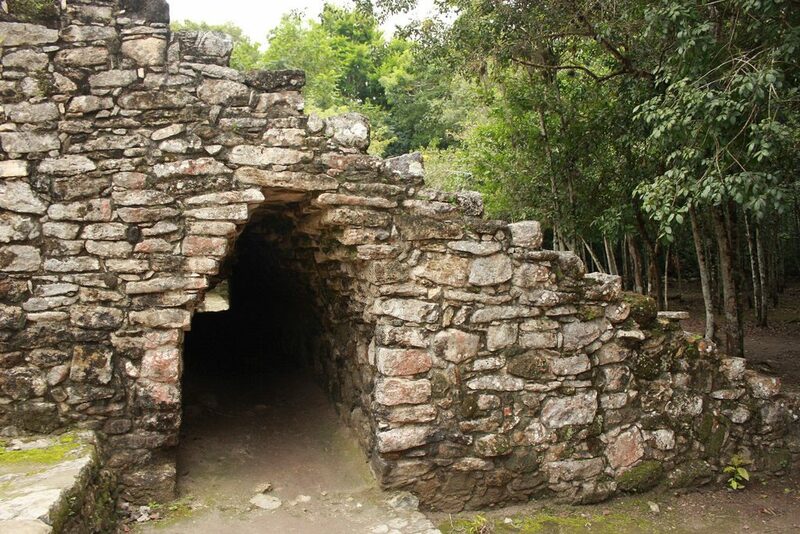 The pyramid has a flat roof, unlike someone of the pointed temples you will find at other sites and wasn’t always that tall- the Mayans would make their temples bigger by superimposing one on top of another. Inside El Castillo is a smaller pyramid with a statue of Chac Mool inside. 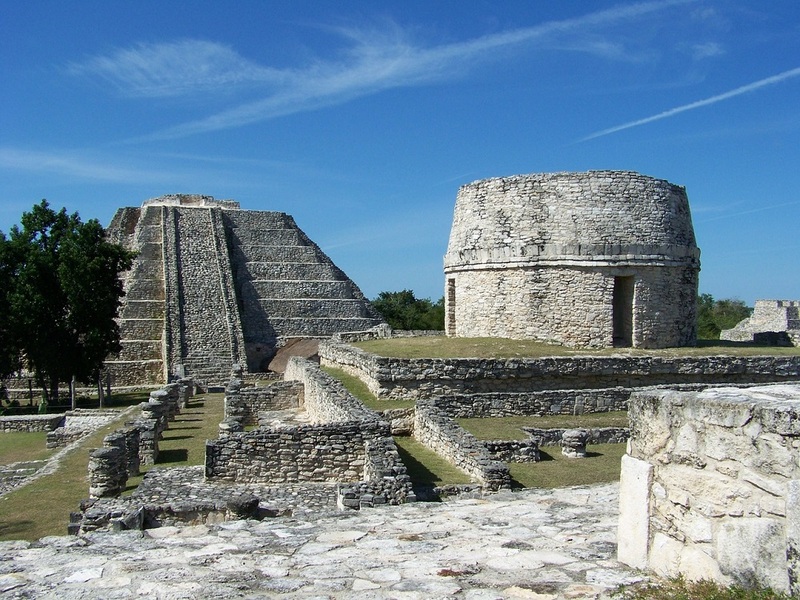 The outer architecture of El Castillo showcases just how in tune the Mayans were with science and astronomy. There are 365 steps, one for each day of the year, leading to the top of the pyramid with serpent heads that decorate the base of the steps. 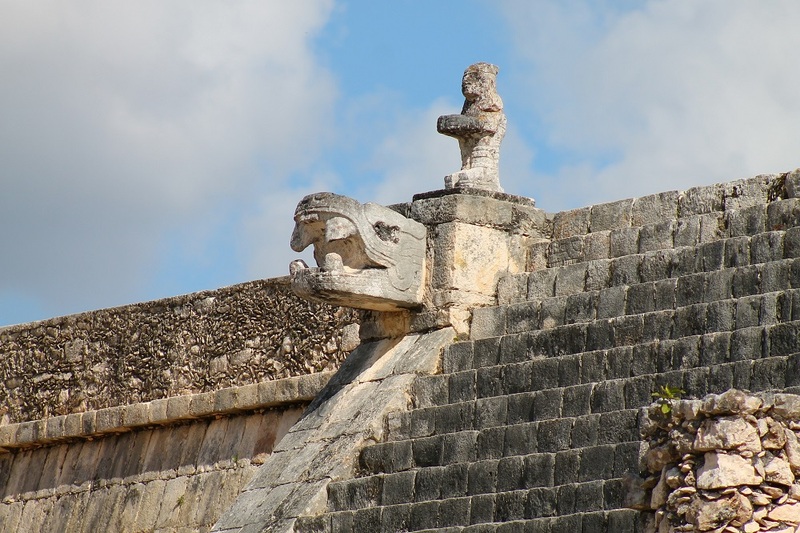 The impressive astronomical knowledge that the Mayans had can be seen during the equinoxes when the shadow cast on the stairs creates the image of a snake from the top to the bottom! 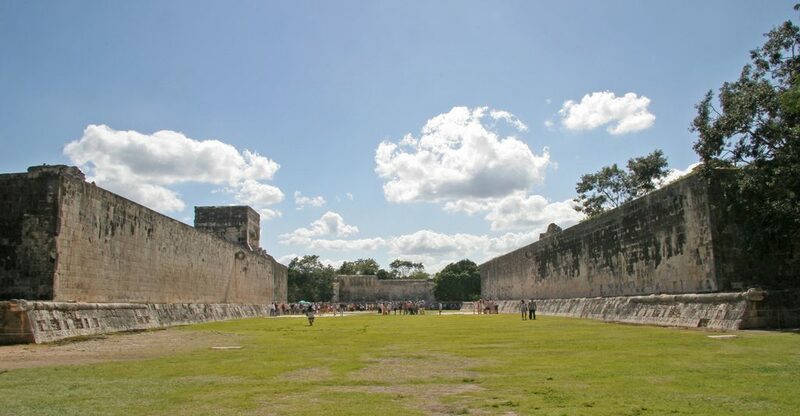 Like El Castillo, the Great Ball Court at Chichen Itza is also of great importance. It is the largest and best preserved in the Americas and has helped historians and archeologist attempt to understand how the game was played. The rules are not exactly known but it is thought that players used their hips to hit (think a side-booty bump kinda motion) a 10-pound ball through a small stone hoop on the side of the court walls. 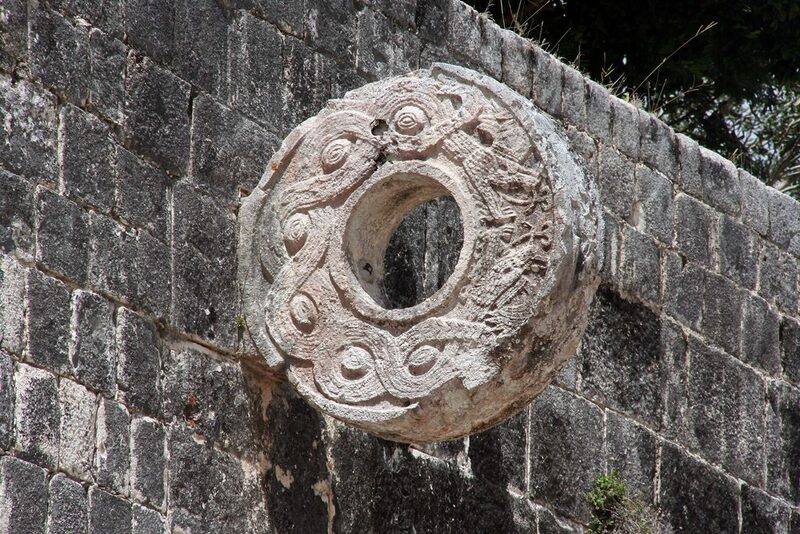 With the height of the hoops at Chitchen Itza it is likely that there were variations to the rules. No matter what the rules though, one thing is for certain: the game was intense! It didn’t just serve as a means of entertainment, it also served as a ritual for the underworld with the losers of the game often being put to death as a sacrifice to for the Gods. Make sure you arrive early! Chichen Itza gets extremely crowded in the afternoon! 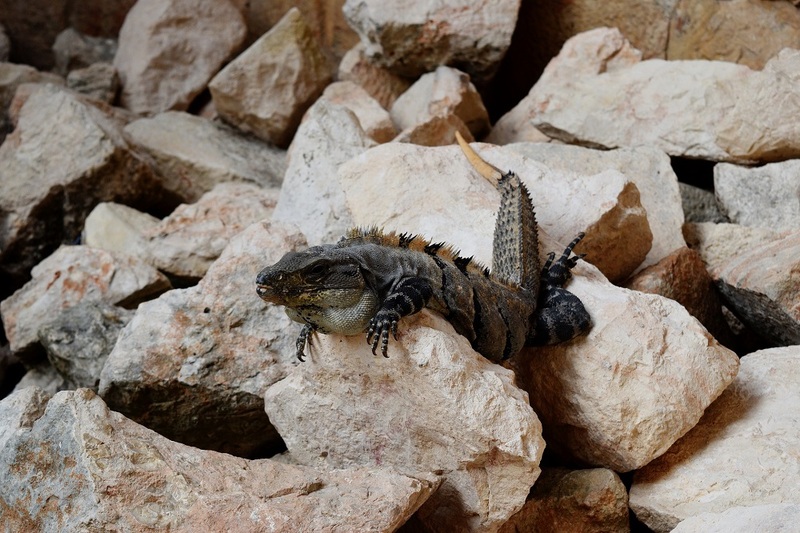 Admission is $180 pesos which includes an evening light and sound show where the acoustics of the ruins and serpent shape shadow on El Castillo can be seen. Ek Balam is a lesser known site not too far from Chichen Itza. It is also a newer site in regards to tourism, archeologist only started restoration in 1997. So far, only the center of the site has been excavated so new discoveries are being made with more to come. At Ek Balam you can still climb the main temple. During your visit, make sure you check out the paintings on the walls of the Acropolis building. The building is an impressive 95 feet tall and offers visitors an excellent view. If you do climb to the top, the two hills you see are buildings yet to be excavated. The site is open daily from 8am-5pm and it costs $172 pesos to enter. 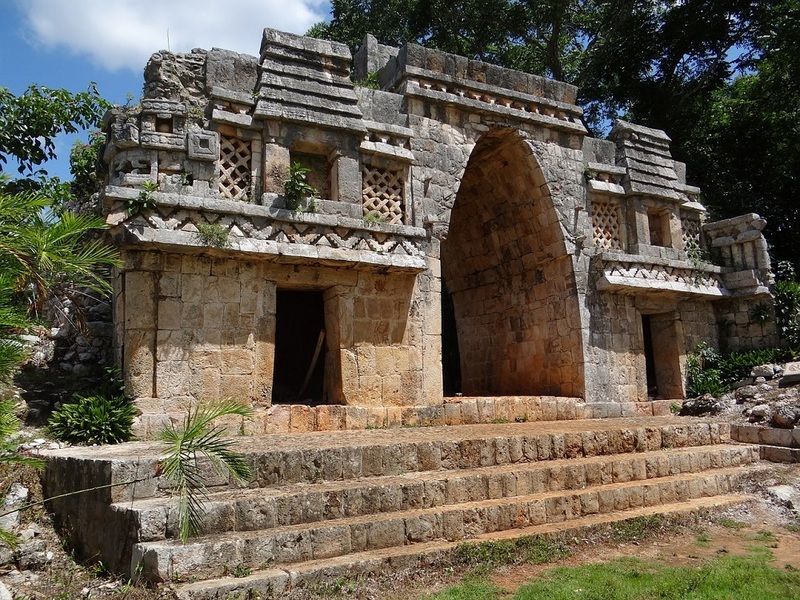 The Puuc ruins are often overlooked and can be found in the hilly region near Merida. The name Puuc actually comes from the Maya word for rolling hills. If you’ve visited other ruins, you’ll notice the unique style of buildings and carvings found here. 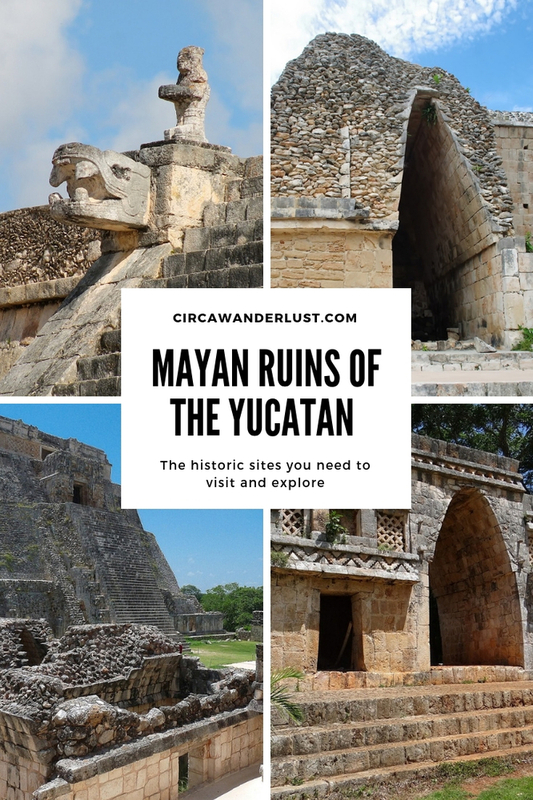 While the Puuc sites aren’t as impressive in size or grandeur as some of the more well-known ruins in Mexico, they are not something you want to miss! 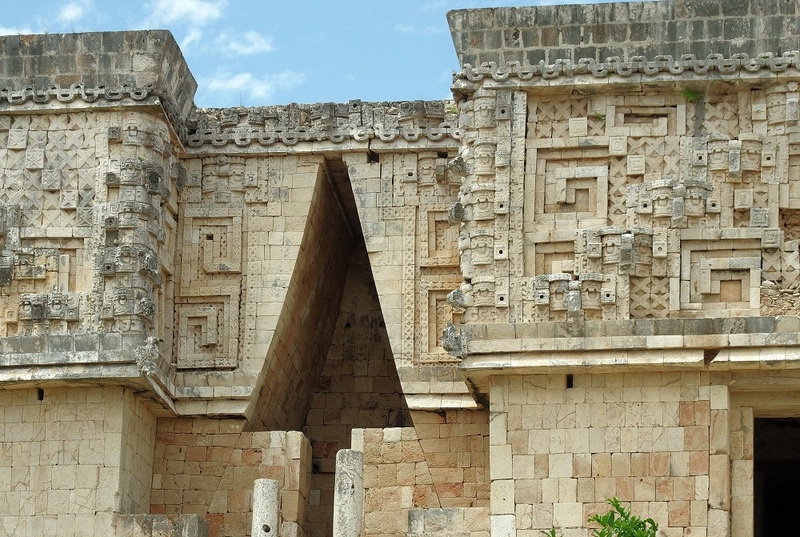 With its close proximity to Merida, Uxmal and the Puuc sites make for a perfect day trip. Like most of the other ruins you can easily take a taxi or book a tour. There is also the option of a taking a bus which is the chosen form of transportation for many of the locals. 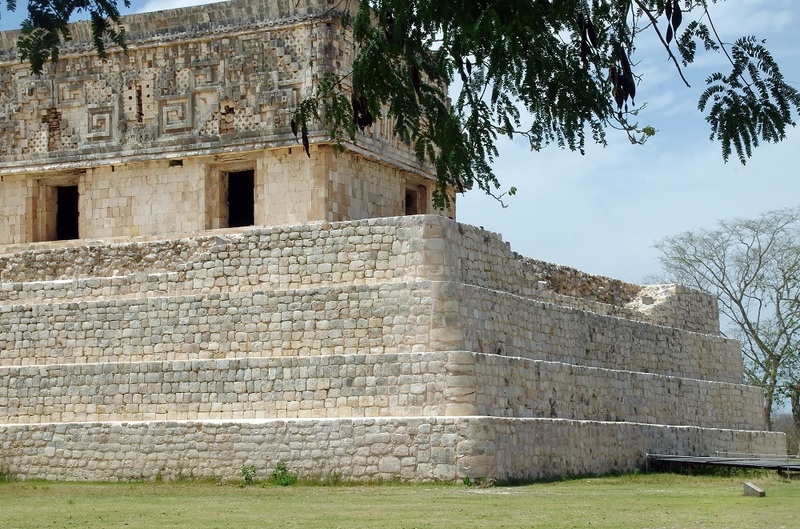 On Sundays there is also a Puuc route bus that will take you to all the smaller sights as well as Uxmal. 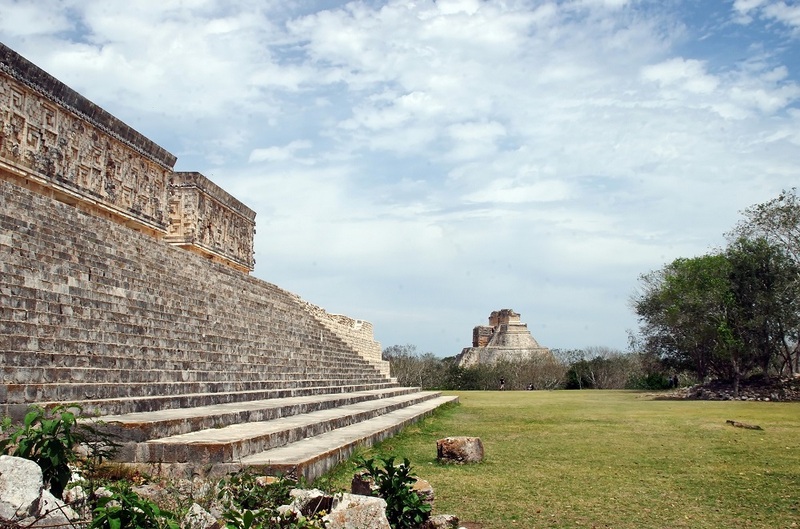 The ruins of Uxmal are considered to be some of the most important and best on the peninsula. Surprisingly though, they are little visited perhaps to their more inland location. It is the largest of the 4 Puuc ruins. The site was also one of the largest cities on the Yucatan and at its peak was home to about 25,000 Maya. 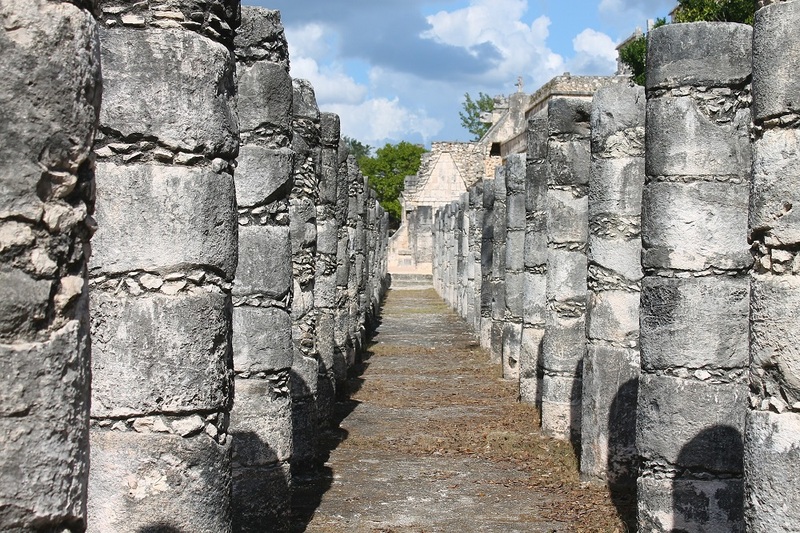 The ancient city’s layout is a little different than other Mayan ruins- instead of being arranged geometrically they are instead arranged according to astronomical happenings and events. 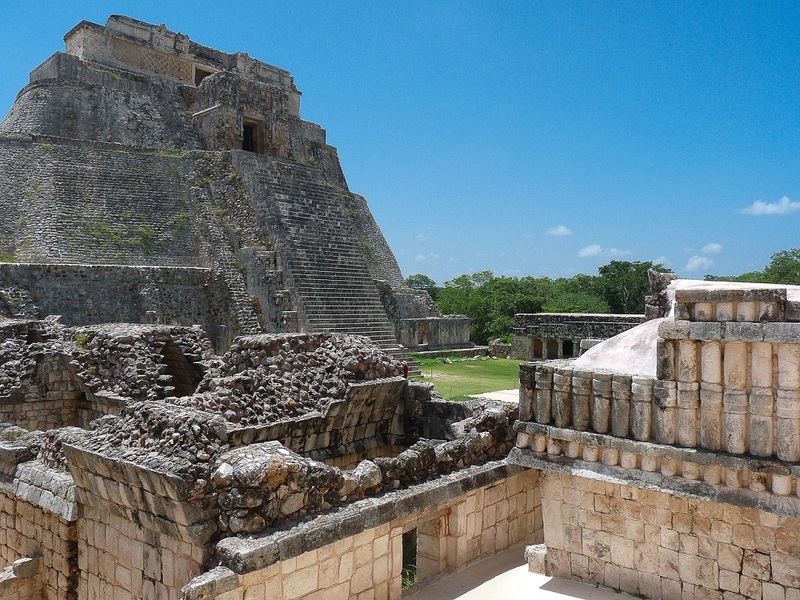 Uxmal means “thrice built” in Mayan which refers to the construction style used. The Mayans would often build a new temple atop an older, existing one. 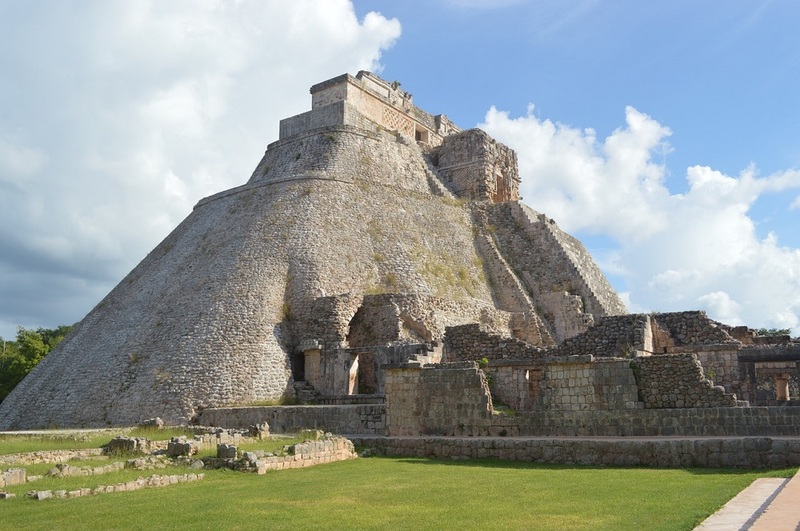 In the case of Uxmal and the Pyramid of the Magician, five stages of construction have been found. 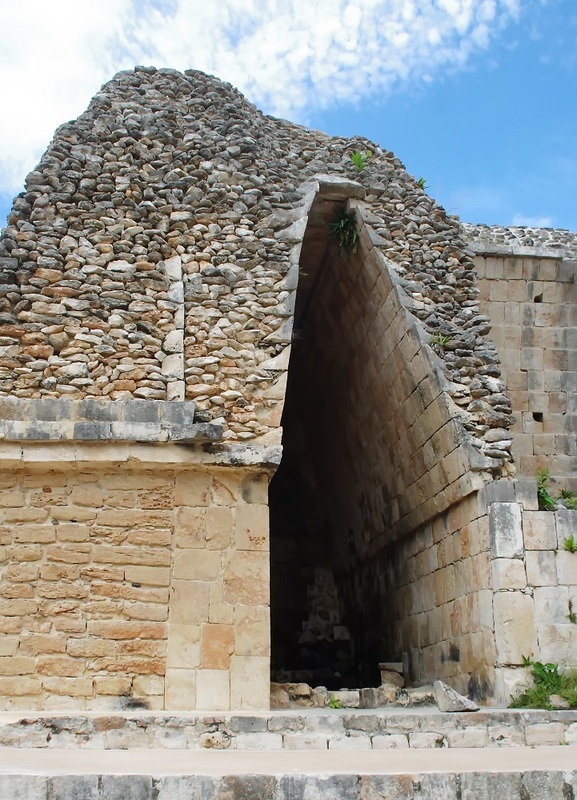 The Pyramid of the Magician is also the first building you will see when you walk into the Uxmal Archeological site. Standing at 117 feet, the pyramid demands your attention. With its unusual elliptical base, it is not like any of the pyramids you will see at other ruins. Cuadro de las Monjas is a group of four buildings next to the Pyramid of the Magician. It was named by the Spanish, not the Maya, because the 74 small rooms facing the courtyard in the middle of the building reminded them of Spanish convents back home. To see the best example of Puuc architecture make your way to the Palace of the Governor. It is on a raised platform and historians believe it to be one of the last building constructed on the grounds. House of the Turtles, which is next to the Palace of the Governor and shares the same raised platform, is named after the turtle frieze that can be seen around its cornice. 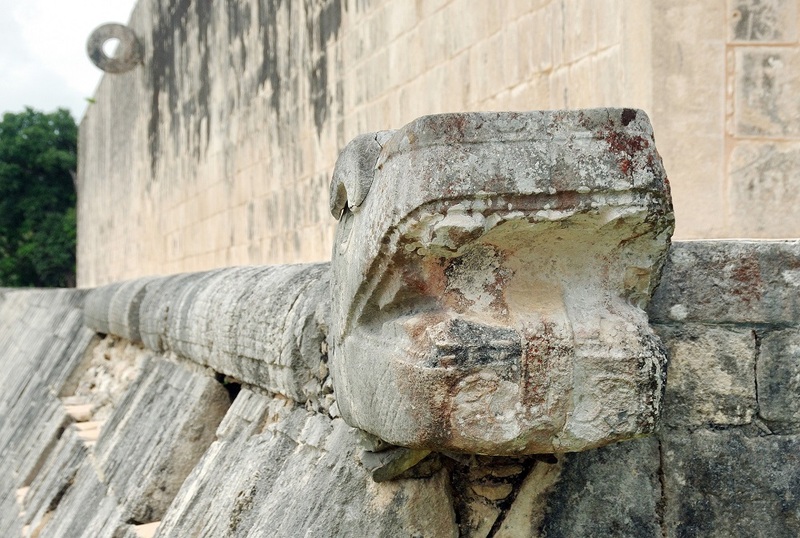 The Maya believed that turtles suffered alongside man during times of drought and would also pray to Chac for rain. 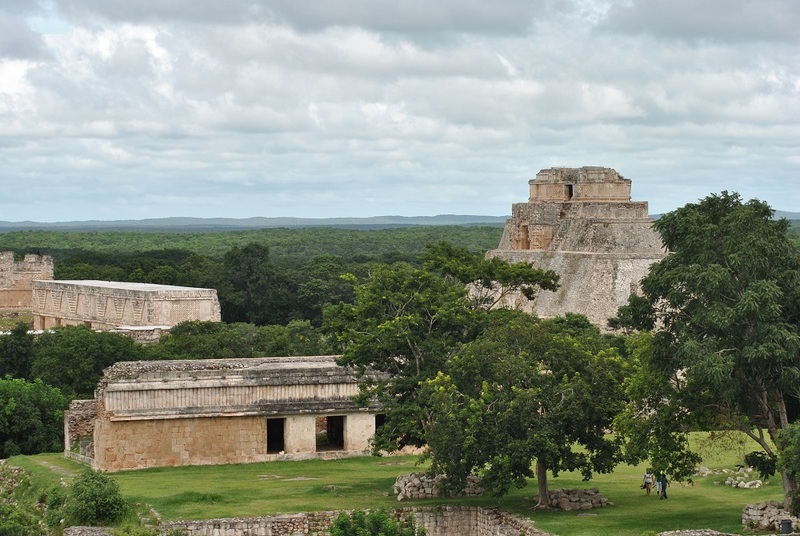 The other Puuc sites are relatively overlooked and considered to be the suburbs of Uxmal. They are small but have some of the most ornate cravings and interesting layouts as well as locations. Labna is a small but interesting ruin with carvings and columns. With unique architecture that incorporates geometry, Labna sticks out as a hidden gem among all the ruins. X-Lapak is another small Puuc ruin. The site is in a more crumbling state as it hasn’t been restored as much as some other sites. This uniqueness though, allows you to really see what it was like to discover the site and what it might have looked like. El Palacio is X-Lapak’s impressive palace with more than 90 rooms. 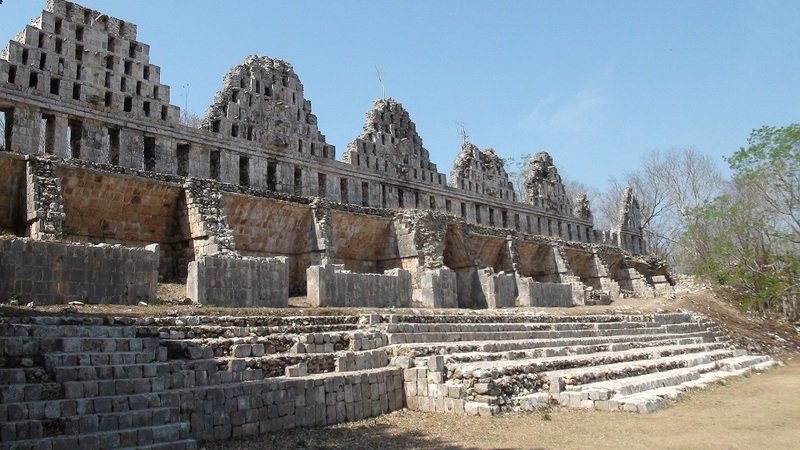 Sayil has a pretty large and impressive main temple that features columns and staircases. These ruins stone have a red/pink hue to them that make them stand out against the backdrop. The colors make it easy for you to imagine what the brightly colored structures would have looked like in their prime. Kabah is a big open site not far from Uxmal. 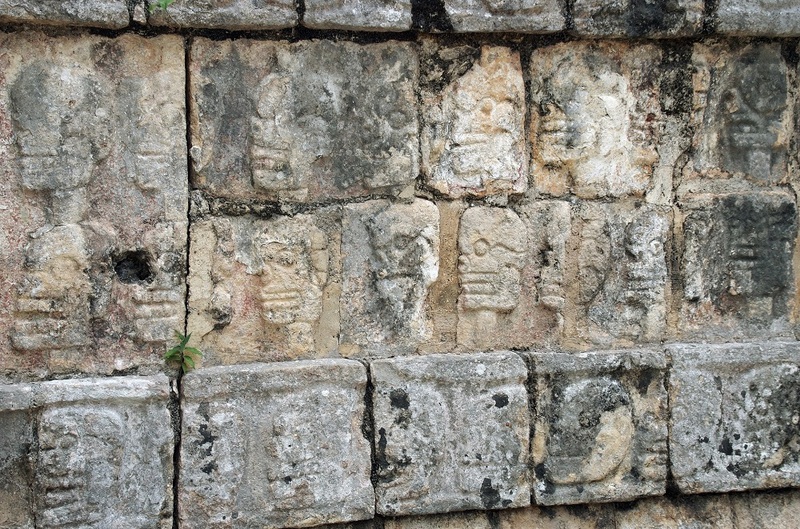 The most prominent structure is the Palacio de los Mascarones decorated with hundreds of stone masks that feature the rain god Chaac. 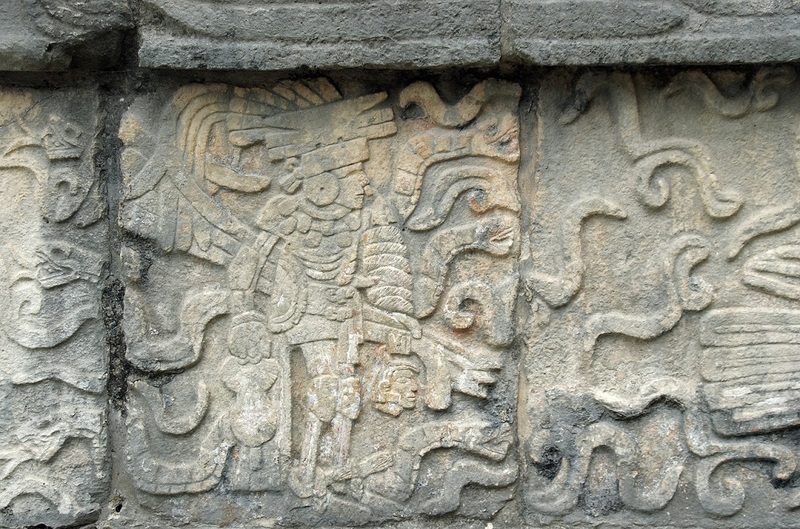 The rain god’s prominence is believed to stem from the region’s scarcity in water. Since there are no cenotes the people had to depend solely on rainfall for water. 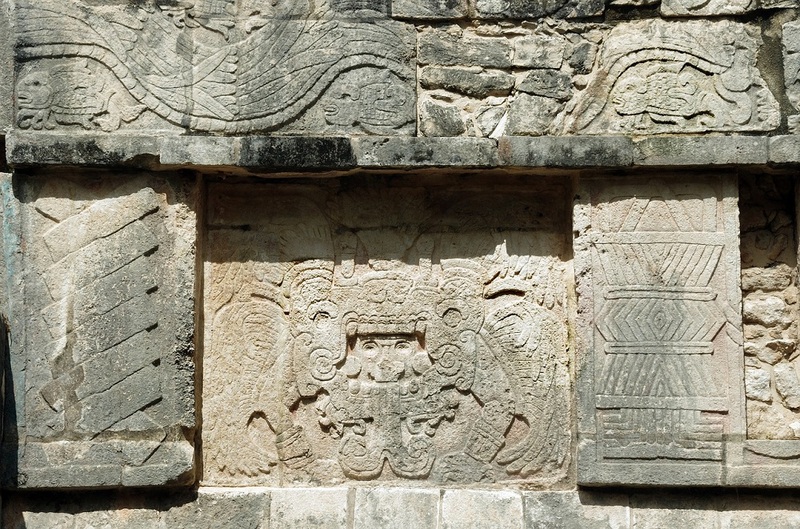 The Mayan civilization was one of the most advanced cultures in the West before European explorers arrived. With over 40 cities spread across Mexico, Guatemala, Honduras, and Belize many historians and anthropologist agree that their level of sophistication and knowledge was unparalleled. These ruins are only a fraction of what there is to be seen and explored in Mexico, many of which have been designated World Heritage Sites. 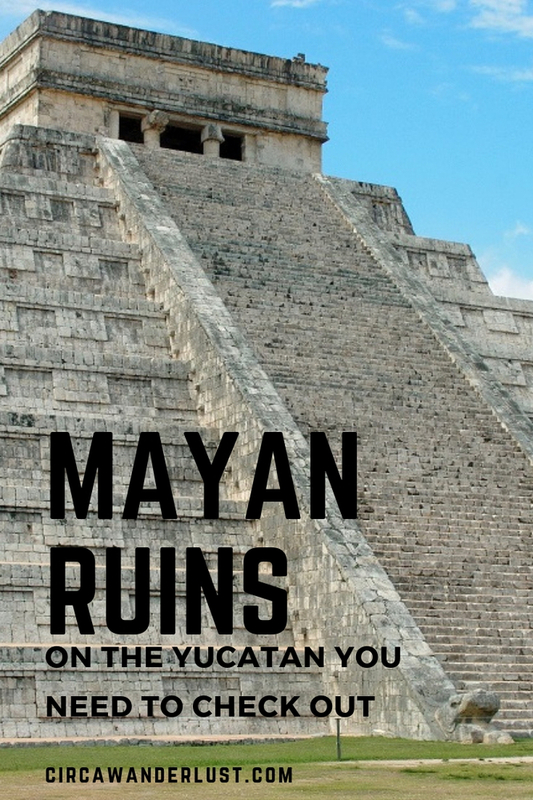 If you are able to visit all or only one, you need to visit the Mayan ruins on Yucatan! You’ll feel like you go back in time and be in awe as you take it all in!